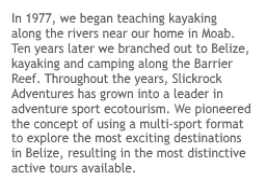 Slickrock Adventures operates one of the best beach resorts in Belize. Long Caye is located 35 miles off shore and 65 miles from Belize City. Transfer to and from the island is one of the most crucial aspects of any island resort. We own our boat and take care of the maintenance and repair. 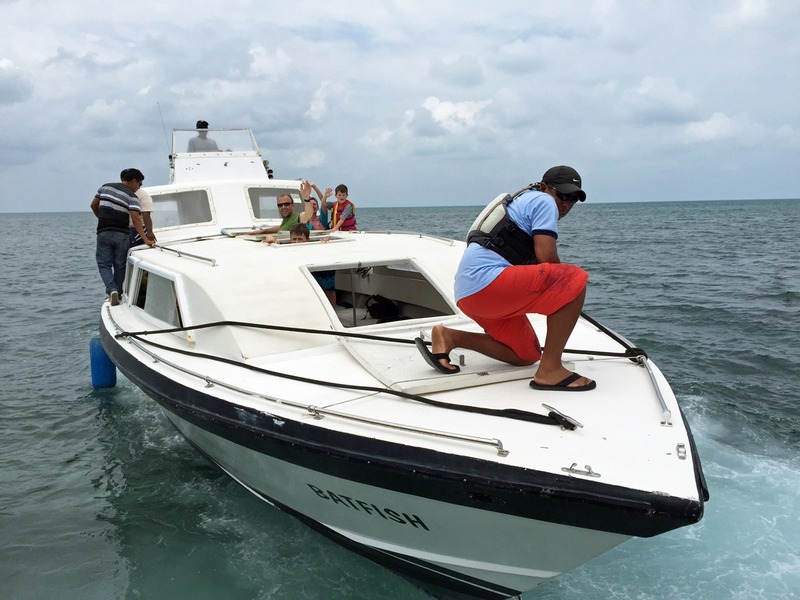 Our boat is kept in excellent shape by our competent staff; the importance of this aspect of the operation cannot be over-emphasized. There is no additional charge for this ride, it’s included in our all-inclusive package. Our boat runs each Saturday and Wednesday and takes about 3 hours; 45 minutes of this ride is an open sea crossing between the Belize Barrier Reef and Glover’s Reef Atoll. View our map of Belize, Central America to see our route; we cross at Tobacco Caye. You have to make sure that you are flying into Belize the day before the boat ride, because it leaves very early in the morning, before any flights arrive that day. It is common to experience large swells and spray over this stretch. We hire professional captains who excel in all conditions, and we are confident in the safety of our passengers. Yet some guests, while safe, may feel concerned if they are not accustomed to traveling on the open sea, and those susceptible to seasickness should take precautions. Be assured that we do monitor the weather, and we may cancel the boat trip if conditions are deemed dangerous. When this happens, (and it does) we provide other activities. Our boat is 41 feet long, has 3 engines, and is covered for protection in any kind of weather. If you arrive late you will have to charter your own boat. Available boats are generally 25-28’ in length and cost about $700 (June 2018 price) for a one-way trip to Long Caye from Dangriga, Belize. We strongly recommend you fly to Belize a day early to avoid missing our boat and having to make an open-sea crossing in a small skiff. Local Belizeans do this crossing in all conditions, but you may not be used to traveling in a small boat in rough seas. 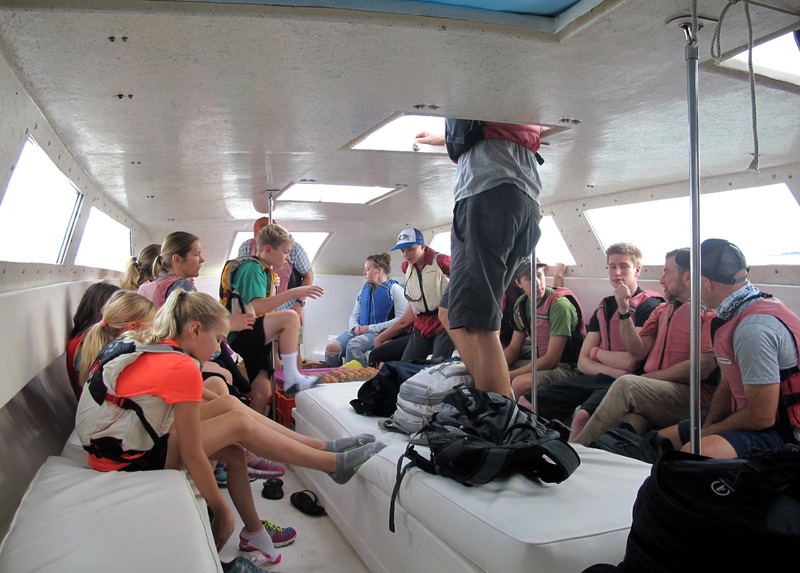 To learn more about chartering your own boat to the island visit our Belize FAQ page.